I can't wait 'til I get a well-paying job so I can spend my Saturday mornings online shopping on ShopBop, Net-a-Porter and La Garconne. I hopped on last night during the middle of a study break and saw this image below. All my faves rolled into one. I needed to be sedated. Maxi skirt for ALL OCCASIONS! Can I get a "woot woot"? 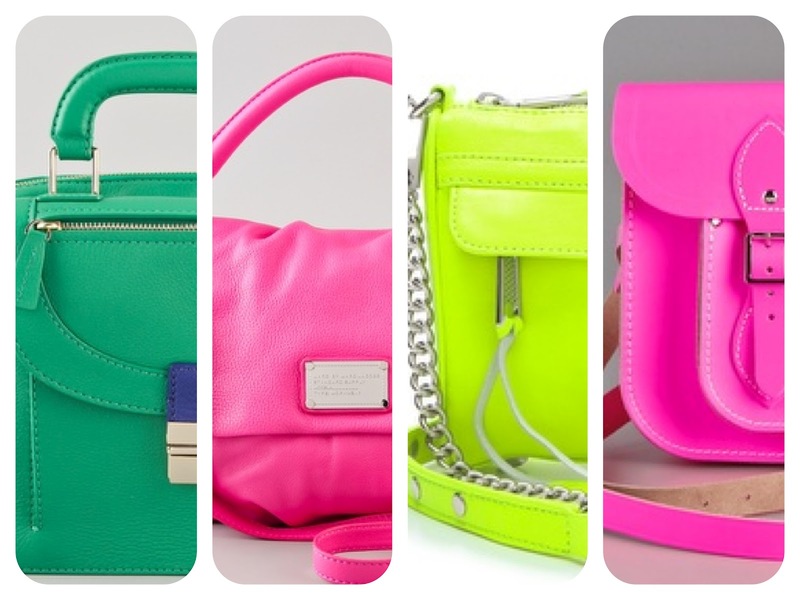 And to fuel my love for all things neon this spring: Marc by Marc Jacobs, Botkier, Cambridge Satchel, Rebecca Minkoff. i like the yellow long skirt and the attention grabbing purses! Love those bags, I wanted one but I think there're a lot of people who have already bought them!!!! haha I love your quote about a well-paying job. Net a porter emails are killing me!!! oooo i love the yellow skirt! so much color! Oh, love all those color! gah. i LOVE the neon marc crossbody bag. Loving the neon colored bags, so chic this season.